Heavy card sleeve with paste on LP details. "Recorded 'live, ' 1963-1968." 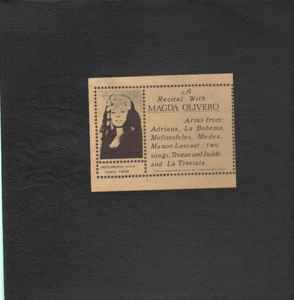 Magda Olivero, soprano, in part with other soloists; unspecified orchestras and conductors, sung in Italian.